Hi , are the external pools open this weekend? no, I’m afraid the outdoor pools won’t be open until the weather allows (probably until May). Thank you for your understanding. Scheduled a 60 min massage at 5:30pm. wont be able to arrive to the spa until 4:30pm that day. 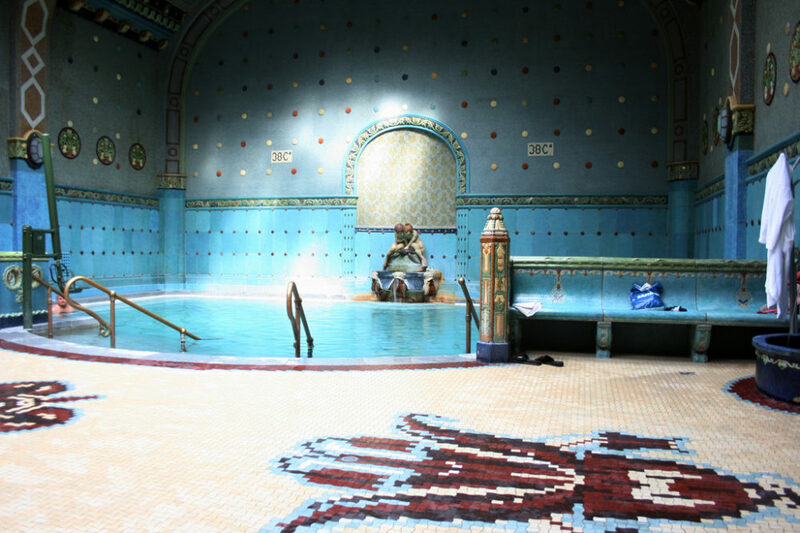 see that we can use the thermal pools before and after our massage, between 9am and 6pm. however, will not be finished with the massage until 6:30pm. see that the thermal pools are open until 8pm. can we use the thermal pools after our massage from between 6:30pm until 8pm? Also, are we able to lock the cabins while we are having our massage? yes, of course, you can use the polls until the spa closes. The smart wristband you receive upon entering the thermal bath serves to use and lock the locker and the changing cubicle (cabin). Please note that there is a charge for the loss of a Smart WristBand (aka the Proxy watch). 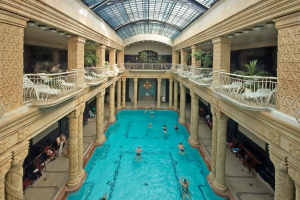 I would like to confirm that Gellert Spa is absolutely co-ed since 2013. This means that there are no men-only or women-only days or areas of the Spa. The whole area of the Baths is mixed, every day, all day. Thank you for your understanding. I’m staying in Budapest 01.-05.04. and I wanted to know if I need to prebook the entrance ticket or buy it online, or is there any chance to buy the ticket the day I decide to visit your Spa? – The time is at 18.00h and I wanted to know if this is the entry time and massage or how it is organised. – Besides the swimming suit, do we need to bring towels and slippers? – For how long we can be in the spa? What time it closes? – I would like to have confirmation email as I have not received yet. – What are the cabins exactly? you can arrive anytime after 9 am and stay until 8 pm. We have just sent you the updated massage hours, please have a look in your spam folder too. Yes, please bring your towels and slippers. The cabin is like a tiny room where you can get changed and store your belongings. The cabin size is approx. that of a dressing room in a clothes shop and the door has a unique chip code lock, which opens and closes with a special waterproof bracelet: in fact, with the chip incorporated in the wristband bath entry provided at the bath. Please make sure that your door is locked with the silicon wristband before leaving the cabin. As you are wearing the band all the times, it is quite secure if you make sure that the door is not left open. I hope I could help. 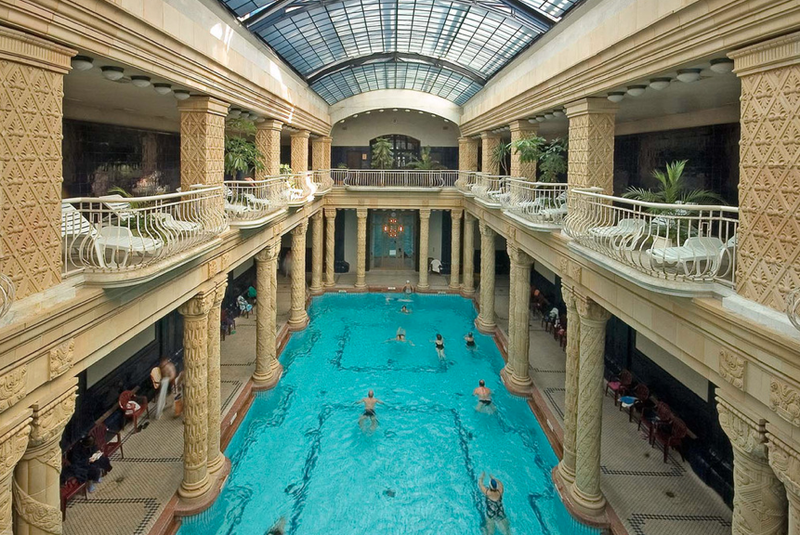 Will be visiting the Gellert spa this weekend. Can you give me an indication of the cost for the flip flops? Is it okay to bring your own towel? Flipflops can be bought on the spot for HUF 3,000. I am arriving on 7/4/19. One of our party is wary of spas, are there places that he can relax and have a drink/food? What is your quietest midweek day? Can I hire towels? no problem, there are a lot of quieter places in the Spa, and also a restaurant to have something to drink or eat. Monday-Thursday are usually less busy in the morning hours. Yes, towels can be rented on the spot.